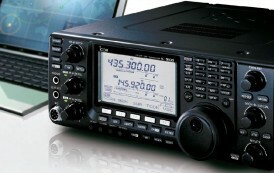 As with all ham stations QRO or QRP, ten percent ofa station?s success in quality QSOs is the equipment and the operator. Ninety percent is the antenna. This is especially true in QRP since with very low power,by comparison to the Power Mongers, we need to get more ERP per watt out into the ether to be heard. So when I got back into QRP a few years ago Ifound the fascinating world of antennas and RF radiators to be an exciting challenge and a means to find the perfectantenna which I call the…. I don?t have room for an 80-meter dipole or long wire so I have to restrict the length to 100 feet or less. Besides my primary interests are working only CW on 40, 30, 20, and 15 meters.